As the first girl in my grade to catch her menses, I was the princess of PMS purgatory. I was alone on an island for those first few months, attempting to survive the uninvited change my body was putting me through. “Becoming a young woman”, as some say, quickly inspired me to loathe everything about myself, especially my body. From those adolescent days until well into young adulthood, the struggle with hating my body waxed and waned. There were periods where I felt totally disgusted with my body – standing in front of the mirror in short shorts I only dreamed I could wear in public, hurling horrible obscenities at my innocent thighs that had the audacity to rub together when I walked. The hatred became the driving force for countless failed attempts to starve myself. I believed I could punish my body into skinny, hot submission. I promised my thunder thighs I would love them once they finally got in line and became half their size. You would think that after 20 years of trying in vain to change my body, that I might give up – or at least get some serious help for my secret obsession. So, how did I manage to change things so drastically after so many years of struggle? The full story is far too long to share in one blog post, but I can outline some important factors that seriously helped me continue with my desire to change, in a kinder, more compassionate way. A few pieces of this big, complicated puzzle, consisted of some pretty basic goal attainment fundamentals: motivation, trust, and patience. While straightforward in theory, it was far messier and challenging than the basic instructions you can read in any self-help book. For me, being motivated first required me to clearly identify exactly what I was striving to do. What was I motivated by? Was it the same hate, disgust, and shame I had experienced throughout my dramatic and exhausting adolescence? How did I want it to be different this time? I knew what I didn’t want: to hate or mistreat my body. To stuff myself with food when life was hard. To be overweight and unhealthy while longing to feel different. I also knew what I did want: to love and accept my body. To be a healthy weight that had my body feeling energized and full of life. To nourish my body with foods that it loved and appreciated, and tasted good! To be able to wear those short shorts, even if my thighs rubbed together. Imagining the outcome I wanted was a big help in feeling motivated to do things differently. But the motivation was inconsistent, especially when I slipped up, stuffing myself to the point of button-popping bloat. There was fear there, a belief that if I hadn’t worn those short shorts with pride yet, it was a mere pipe dream. It was in realizing the inconsistent nature of my motivation that I began to treat it differently. I decided that I wasn’t going to rely on myself to feel naturally inspired, but that I was going to have to do some real work to create a foundation for my motivation to stand on. So, what did I do? I considered all that I wanted with regards to my body and food, and logically assessed all that I would need to do (within my control) to fulfill these goals. I then measured the level of motivation that I currently felt to make these changes in practice. And let’s be honest, who naturally feels motivated to put the sugary delight of ice cream down in the heat of an emotional breakdown? When I recognized what areas I lacked motivation in, I gathered outside sources to inspire my motivation to grow. I found inspirational stories told by people who had struggled in similar ways, only to overcome and live differently. I also made a commitment to look at my own life for my stories of success. Even if it was in a seemingly meaningless decision to close the fridge door when I wasn’t actually hungry. Motivation can be there for you when you need inspiration to pursue your goals. When your energy is drained and you want to give up, it can help you keep going. It can act as your own private cheerleader, encouraging you, believing in your ability to persevere and succeed. What are you motivated to do day in and day out? And why? Why do you want to achieve this desire of yours? What’s in it for you? How will life be different? How will you feel? What is it like for you to feel motivated? What makes it a preferred state of being? Who serves as inspiration for you and your desires? Who has achieved what you’re setting out to do? How do you relate to them? How are you similar? If you’re struggling to feel motivated, what might be getting in the way? Do your beliefs align with a feeling of motivation? Do you have any evidence that what you want to do is possible? Simply put, the answers to these questions can lay a strong foundation for your internal motivation. The more detailed you can be, the better. To be perfectly honest, harnessing motivation after giving it a little bit of attention, wasn’t that challenging for me. Trust, on the other hand, was a whole other ball game. Given that I had dedicated a good 20 years to this desire, without any real long-term change, I didn’t have any reason to trust that my present efforts would be fruitful. I had developed the belief that if I didn’t drop five pounds of excess fat over night after one day of eating well and a bit of exercise, I was doomed. It was proof that my body was somehow incapable of being healthy and fit. The food I would stuff down my gullet in response to this realization was further evidence that I could not be trusted. I truly did not trust that things could be any different. That is, until I actually recognized my lack of trust. Again, it was helpful (and necessary) spending deliberate time first recognizing where I was at with trust, and then what was getting in the way of me experiencing more of it. I had to work through a whole hell of a lot of past experiences that I had previously judged as "proof" of my everlasting failure with this mission. I worked to make sense out of my present lack of trust, and what was required to experience any semblance of something more positive and conducive to change. I asked myself what I needed to believe about this goal and my capacity to achieve it. I explored other achievements I had conquered in the past, and how these could lay a foundation of trust in my abilities. I then considered the logical reasons for trusting in this goal as being achievable. I focused on how other people had achieved it, and acknowledged that it is physically possible for my body to be healthy. Google Images became my best friend, as I could easily pull up example after example of people becoming fit and achieving their health and body goals. I kept this information close at hand, and reflected on it regularly to build more trust. I also started taking action and looking for how this experience could further the foundation of trust. I assessed how my body felt to make the lifestyle changes, even if my body didn’t look any different after the first day. I took it a step further and worked on cultivating bigger beliefs about my capacity to achieve my desires based on all I had already done in my life. Even the seemingly menial tasks were pieces of evidence that I could trust in myself. This is the practice of trust. 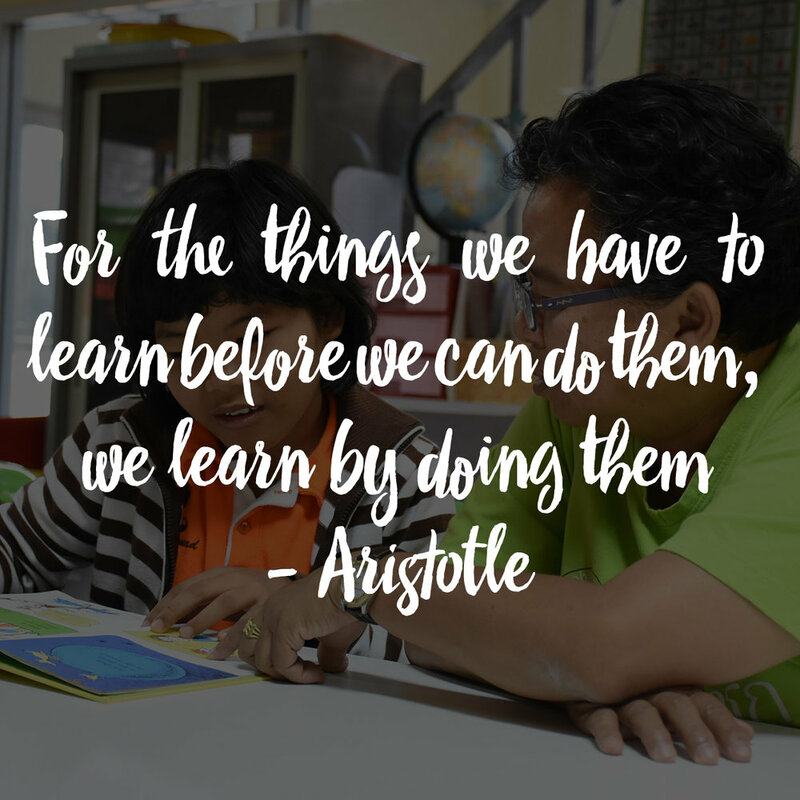 It is something you do, something that you can engage in. What evidence do you have that you can trust in the possibility of achieving your desires? What I’m trying to say is that trust is another crucial factor on the road to achieving desires. Trust ties in to your beliefs about yourself and your place in the world. Trust can be there when the results aren’t showing up as quickly as you would like. It can ease your worry and frustration, and help you in continuing in the face of obstacles. It can support you in taking calculated risks, and addressing fears. It is the antithesis of doubt. What have you been able to achieve in the past that required your trust? How do you presently rely on trust (and likely take it for granted)? Why are you able to trust in the things you do? How is A likely to lead to B? How do you know? Did you experience trust the first time you tried? What helped in building trust? UGH. I hate being patient. Just writing about patience brings up memories of my dad pleading with me to be patient and temper my relentless quest to get what I want NOW. Upon reflection, I realize that patience has been an even bigger struggle for me than the issues with my body. The world we live in, with the unprecedented accessibility to instant gratification, has not helped matters. With the ease of Google search, I have become the queen of reading spoilers and binge watching Netflix into the wee hours of the morning. I want it all, and I want it NOW! When I mixed impatience with my desire for my relationship to my body and food to be different, things just got harder. You see, no matter what evidence there was that I was making progress toward attaining my goals, it was never good enough. It didn’t happen fast enough, or the evidence wasn’t big enough to make space for more than a sliver of patience. And so I was left frustrated with myself and the world, figuring that something must be seriously wrong with my metabolism if I didn’t drop 5 lbs of excess fat over night. Again, the change boiled down to a whole lot of awareness. There was no chance I could change this pattern until I actually realized that I had a serious issue with patience. I reflected on what got in the way for me in being able to withstand a bit of time and effort before seeing results. I considered what helped me feel more patient in different scenarios. I realized that patience wasn’t born in me, but it could be practiced and developed. Perhaps you can relate? If you're human, you can probably identify with the feeling or fear that if something isn't happening right now, that it won't happen ever. It's in these moments that patience can be your ally. How do you feel emotionally and in your body when you're waiting for efforts to pay off? If you feel uneasy, anxious, or afraid, why do you suppose that is? Where do you think your discomfort comes from? How have you eased that discomfort successfully in the past? 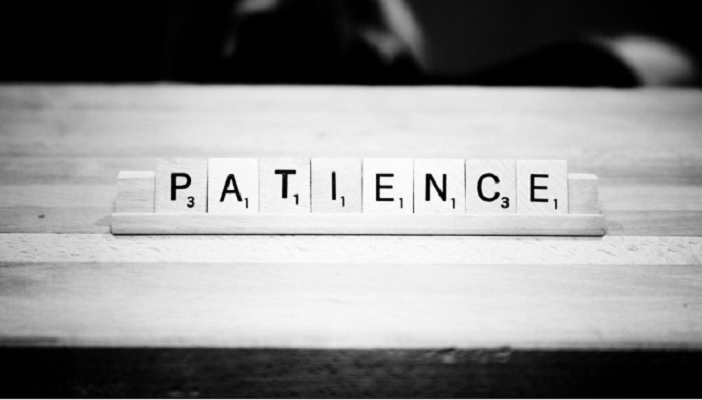 When has calling on patience been helpful to you in the past? What achievements has it supported you in bringing to life? How did you access it then? How would you support a younger person in being more patient? What tips and guidance would you give them? Throughout my journey of cultivating the virtue of patience, I learned that motivation and trust are enormously helpful. As pillars of support, motivation was there to inspire me to take action in the first place, and trust helped me believe that the action would eventually pay off. With a clear focus on how I wanted these three factors to support me on my quest to creating and sustaining change, it has been a much different experience for me than it was before I clued in to their importance. Using the questions above, you can feel more connected to your very own motivation, your trust in your abilities, and your patience to wait for the seeds you sew to sprout. When have you found motivation, trust, and patience to be assets along your journey? Is there one that has served you especially well, or that has been particularly difficult to connect with? Get in touch for help today!